Let our team at AgeLess SPA in Nichols, NY spoil your hard working hands and feet with one of our WaterLess Nail treatments! From manicures to pedicures, your feet will feel the love and look amazing. Spoil your “Mini*” with a Mani and/or Pedi at AgeLess SPA at Tioga Downs Casino & Resort. Your Mini will enjoy nail filing and trimming, a lotion application and lastly a polish application of their choice! Perfect for upcoming events or even great for a fun day out! *A “Mini” is ages 5 and under. For when you don’t have much time but are in need of a basic Mani or Pedi, this service is for you! Offering filing and trimming with your choice of no polish, just a top coat, or a nail polish of your choice. A step up from our Basic Manicure or Pedicure, this lovely service will leave your nails looking amazing! Your nails will be trimmed, shaped, filed, and your choice of an OPI or LeChat Gel Polish is applied. Gel Polish is a thicker based polish, so you’ll have better durability and ensure that your manicure or pedicure lasts longer. For those who don’t care for all of the “fluff” during a pedicure, this is the perfect service for you! Designed for both men and women to spoil your feet with a masque, lotion, hot steamed towels and reparative cream for cracked skin, without any nail work done. Your feet will not only look but feel healthier! This lovely service will leave your nails glowing as our licensed Nail Technicians trim, shape, file, and apply no polish or your choice of OPI or LeChat Gel Polish to the nails.Since Gel Polish is a thicker based polish, you’ll have better durability and ensure that your manicure lasts longer. Give your tired and neglected feet the attention they deserve with our unique WaterLess Pedicure. By eliminating the soaking process, AgeLess SPA has created a specialty service that is both safe for you and for the environment. During this pampering service, your feet will enjoy nail trimming and shaping, cuticle conditioning, callous smoothing, gentle exfoliation with a moisturizing scrub, followed by a soothing mask treatment and hot steamed towels, finishing with a gentle foot and calf massage. This lavish treatment will leave you feeling completely pampered! No matter the occasion or the time of year, you should always get to enjoy the best of both worlds when you spoil yourself. During this relaxing service, your hands and feet will enjoy nail trimming and shaping, cuticle conditioning, callous smoothing, gentle exfoliation with a moisturizing scrub, followed by a soothing mask treatment and hot steamed towels, finishing with a gentle hand, foot, and calf massage. Here at AgeLess SPA our Gel Enhancements and Maintenance service is a healthy alternative to acrylics. 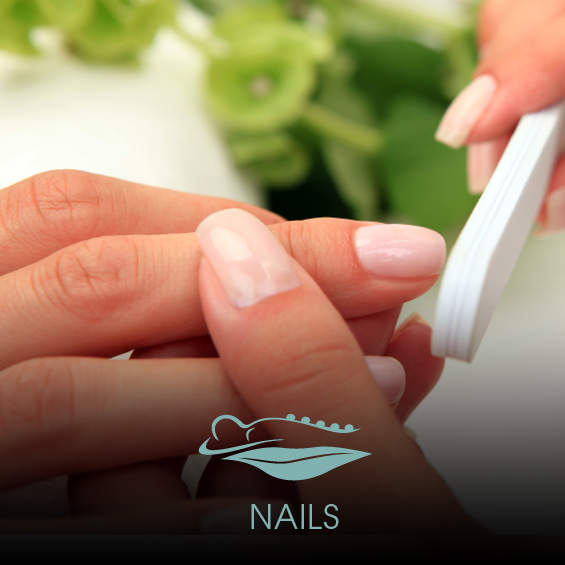 This treatment will strengthen your nails and protect your nails while they continue to grow to your desired length. Our Nail Technicians pair our Gel Enhancements with our large selection of OPI and LeChat Gel Polish; with such a variety we can keep you up with the latest trends! This healthy alternative is perfect if you’re looking for a new trend and it will leave your nails feeling more resilient and looking gorgeous.